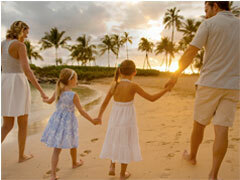 A timeshare interest is shared usage that gives you the opportunity to vacation every year. When you purchase a timeshare, you may enjoy time, typically a week or less, at a vacation resort that is included within the program. Timeshare products vary from company to company. Some offer weeks, points or a combination of both. Also, many timeshares give you the flexibility to exchange your week for time at many resorts. Why do people purchase timeshare? One of the main reasons people purchase a timeshare interest is that it helps to make vacationing easier throughout their lives. Learn more about the benefits of timeshare ownership and what sets Marriott Vacation Club apart from other timeshare companies. How does Marriott Vacation Club timeshare work? When you become an Owner in the Marriott Vacation Club Destinations® Program, you receive an annual allotment of Vacation Club Points. Vacation Club Points can be used to book over 10,000 vacation experiences, including resort and hotel stays, cruises, guided tours, private luxury vacation homes and more. Not all timeshares work the same as the Marriott Vacation Club Destinations Program. Learn more about how the program works. How can I purchase timeshare with Marriott Vacation Club? 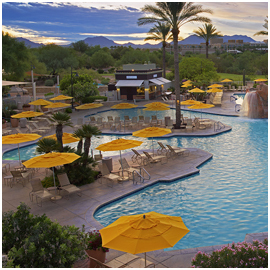 You have choices on how you can purchase a timeshare interest from Marriott Vacation Club. Visit a sales gallery at one of our resorts or other locations. Request information or call 800-445-0893. When you contact us, we will give you a clear, simple overview of our program, answer any of your questions and guide you through vacation options based on your preferences and needs. Find out more about how to get started. What are the costs associated with owning a Marriott Vacation Club Destinations timeshare interest? There are three costs associated with ownership in the Marriott Vacation Club Destinations Program: (i) the purchase price for the interest, (ii) annual maintenance fees and (iii) annual club dues. Pricing and fees vary depending on how many Vacation Club Points you purchase. So that we may help you determine how many Vacation Club Points you need based on your travel and vacation interests, request information or call 800-445-0893. A Marriott Vacation Club representative will create your customized plan complete with current prices, incentives and savings. Maintenance fees are the annual fees every Owner pays for the anticipated operating expenses of the program, including, but not limited to, all expenses for the operation, maintenance, repair or replacement of the Trust Property, costs of carrying out the powers and duties of the Trust Association, applicable insurance premiums and related expenses, real estate taxes and reserves for capital expenditures and deferred maintenance. Club dues are the annual charges assessed by the MVC Exchange Company in connection with the operation of the Marriott Vacation Club Destinations Exchange Program each calendar year. Is an interest in the Marriott Vacation Club Destinations Program a deeded real estate interest? Yes. You will own Beneficial Interests in the MVC Trust, a Florida land trust, which is considered a deeded real estate interest, which can be passed from generation to generation during the term of the trust. If you have other questions about Marriott Vacation Club timeshare, we're here to help. Just request information or call us at 800-445-0893.